Düspohl presents its latest RoboWrap development at this year&apos;s LIGNA. This profile wrapping machine, with its completely automatic set-up, already produced on customer order, represents düspohl&apos;s new flagship. 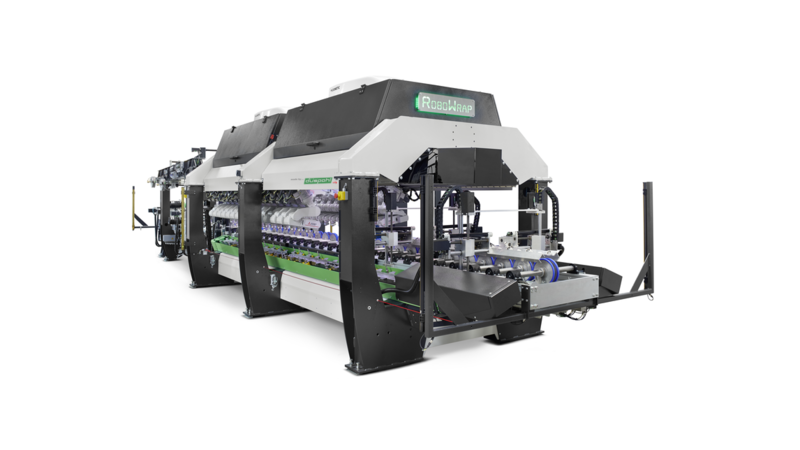 RoboWrap meets the producer requirements in terms of shorter set-up times with simultaneously smaller lot sizes and reduces these times to only two minutes by employing both modern and tested robot technology.